Badly-behaved brat Horrid Henry is delighted when he hears that the Tooth Fairy will pay for children’s teeth. What a mug! It’s Horrid Henry’s chance to get rich! So Henry sets out to trick the Tooth Fairy… with hilarious results. Not content with causing havoc at home, Henry then ruins Moody Margaret’s sleepover, sabotages a wedding, and makes his teachers run screaming from his school. Oh no! I think this is a great book.I LOVE HORRID HENRY! as you all know henry is horrid and this is a book that shows exactly that. everyone in henry’s school has lost a tooth even peter so horrid henry tries and tricks the tooth fairy by drawing on one of his teeth with black marker to make it seem as it is a hole. Henry pretends his tooth has fallen out. Really funny. horrid henry is jelous that his little brother peter as he loses a tooth and the tooth fairy comes but he comes up with an idea to trick the tooth fiary but the tooth fairy didnt fall for and left him a rubber coin. I liked this book because Peter’s tooth fell out before Henry’s and then Henry tries to loose a tooth and it gets really funny. It was quite funny and Francesca Simon is a rely good author. Bad Henry is so funny this book makes me giggle a lot he is a very naugty boy who does things that his family and teachers dont like. I would have never thought of tricking the tooth fairy by coloring by tooth black, sadly Henry she knew! 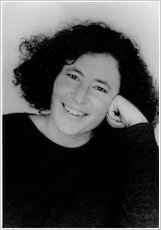 Francesca Simon is an amazing author. 5 stars. Too scary! Ive got HORRID HENRY’S DREADFUL DEEDS, which includes one story from this book, and another, has the FULL story to listen on HORRID HENRY’S WICKED WEBSITE! This is a relay good book and it has 3 great stories,the best one is Horrid Henry Tricks the tooth fairy! I think this is one of the best horrid henry books. I especially like the part where he uses moody margarets fake dracula teeth to put under his pillow. Parts of it made me laugh out loud. Horrid Henry trys to trick the tooth fairy but this tooth fairy is not fooled. Henry trys colouring his tooth and pretending a rubber tooth is his tooth, the tooth fairy gives him a rubber pound! 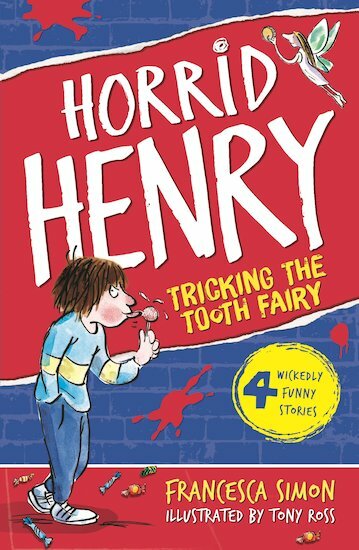 Horrid Henry trys to trick the tooth fairy into thinking he has lost a tooth because all his friends have lost one but the tooth fairy dose not give him the money and he trys couloring his tooth and potting paper over his tooth and lots of things this is a very funny and silly book.